Honey is great for making skin soft! and 3,000 across the world! also becoming popular in removing hair as well. It’s called sugaring. 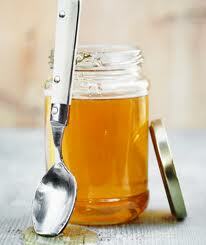 They take honey and mix it with lemon juice and sugar to make a sticky paste. Then, beauticians stick it to the skin, pull it off quickly and the hair comes right off! It is almost painless as well! 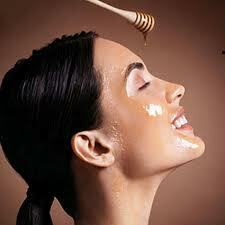 Even outside of the beauty salon, honey is a great product to use on skin. Mixing honey and milk together can be a great remedy for a sunburn! Honey can even be used to make your hair shiny! Mixing honey and apple juice together and combing that solution through your hair before a shower will give your hair extra shine without looking greasy. to produce 1 pound of wax? That's a lot of work! Honey isn’t the only product bees make that people use in the beauty industry. 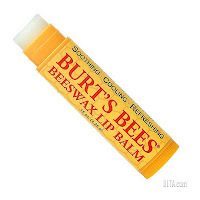 Beeswax is also a very common product. 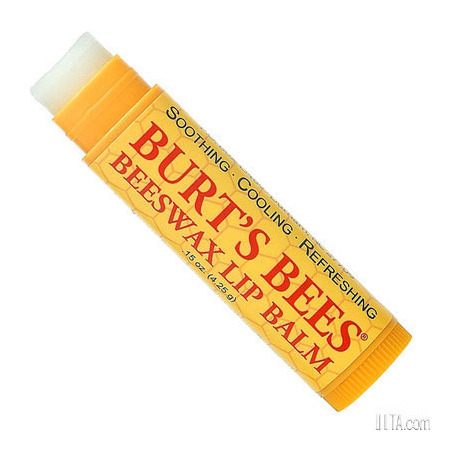 Many types of chapstick and hand lotions are made from beeswax because it helps hold in moisture. Beeswax is produced when a worker bee gorges herself with honey and then tiny cells of wax come out of four pairs of wax glands on the bee’s abdomen. Did you know that it takes about 400,000 wax cells to make one pound of wax? That is a lot of time and honey! Check out http://www.honey.com/images/uploads/general/beautyofhoney.pdf and mix up your very own homemade beauty recipes using honey and other hive products.